On Buzzfeed.com, there has been a report about not only the reveal of the female inquisitor’s name but also the actress that plays her voice in the new season of Star Wars Rebels. 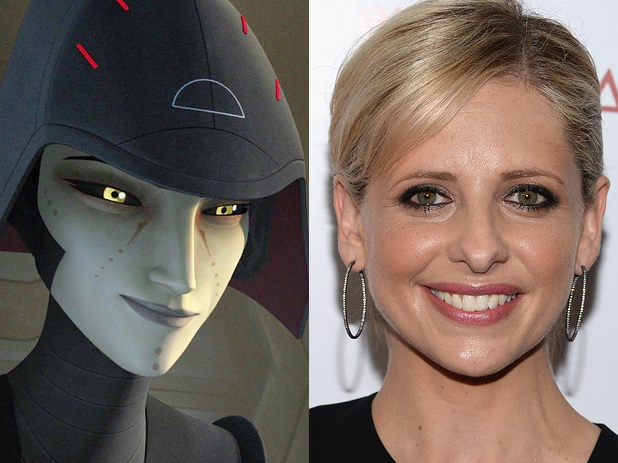 The actress that does the voice of this inquisitor who is called The Seventh Sister, is Sarah Michelle Geller the actress who did Daphne Blake in Scooby Doo and Scooby Doo 2: Monsters Unleashed. Since I know Sarah Michelle Geller is a big fan of this blog (or should be! ), I would love to ask her some questions . . . how did she become such a big Star Wars fan, what does she like about the Saga, and what are her favorite parts from the Star Wars films.